Expedition 56 launch, Soyuz MS-09, June 2018. Soyuz MS-09 rocket launching with Expedition 56 Commander Sergey Prokopyev of Roscosmos, flight engineer Serena Aunon-Chancellor of NASA, and flight engineer Alexander Gerst of the ESA (European Space Agency). 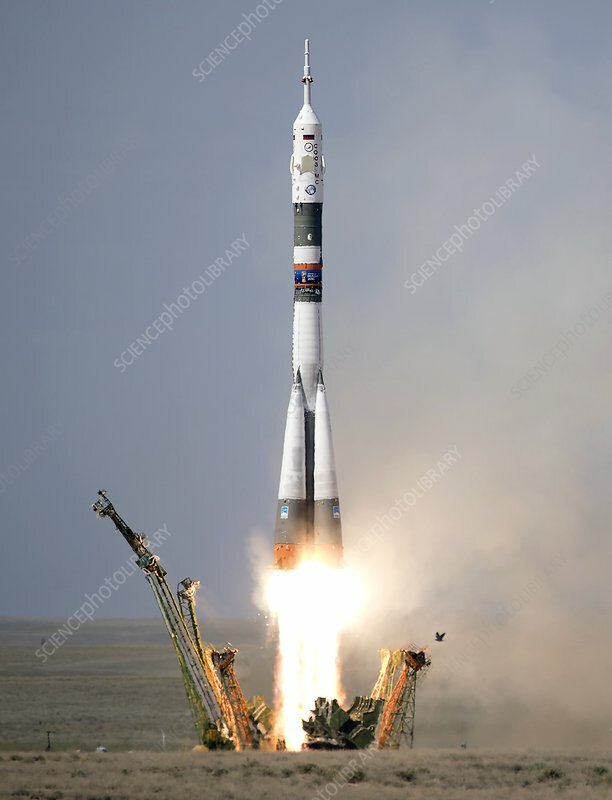 This launch took place on 6 June 2018, from Baikonur Cosmodrome in Kazakhstan. The three crew are scheduled to spend the next six months living and working aboard the International Space Station (ISS).